Is animal entertainment a prelude to The Hunger Games? Those who know me are well aware of my stance on horse and dog racing. I am totally against it. They are cruel forms of entertainment that serve no purpose in the betterment of mankind. Yes, humans need entertainment, but surely we don't need to whip a horse and train it to ride itself to death to be entertained? Last Melbourne Cup, there were two horses that died as a direct result of the race. one from a massive heart failure, and one from a broken leg when a spectator waved a flag which spooked the horse. These animals are flighty at the best of times, and race horses are bred to be highly spirited. So they spook easier than a two year old at Halloween. 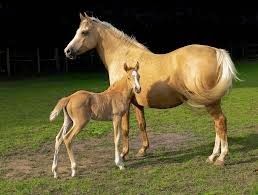 A Palamino and her foal. The beauty of a horse is plain to see. I fought back tears as I read the newspaper articles about the death of these two beautiful animals. I felt impotent. I felt hurt. I felt as if nobody cared. What sort of species are we humans that we don't care? 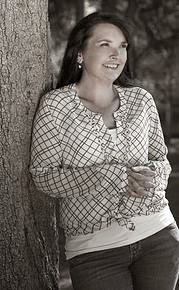 It made me want to write a novel where we all die and animals take over the planet, but that's a form of running away. It would do nothing to tackle the issue. 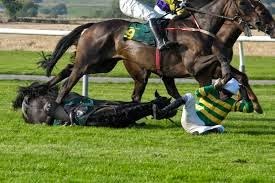 Horse and jockey injured during a race. Guess which one gets euthanized if bones are broken? I don't know how many times I've sat at a table with friends or strangers and the conversation has turned to something topical and everyone has a good old rant and then...nothing. Nothing is done but a lot of complaining and whining and hoping that somebody out there will do something. I call this the Superman syndrome, some poor sod always waiting for someone else to come along and fix the problems of the world. Anyway, I decided to write letters to a few local newspapers and few national ones. I wrote a piece on Facebook and received supportive comments. I receive one response from a person in the racing industry who stated they loved the horses and were devastated about the deaths. Of course they are. And I'm being very cynical here, but when your cash-cow drops dead it's natural to be devastated. I was totally surprised to receive a phone call from someone who had read one of the articles. Don't ask me how she tracked down my phone number but if you're going to act like the sheriff you have to be prepared to wear the badge. She called to say that she'd read the article and was so pleased to read it, and that more people should stand up against animal cruelty. The interesting part of this conversation was that she said, "it's pity nothing can be done to change this industry, too many people are making too much money off it. One person can't make a difference, but thank you for writing the letter." The other interesting part of this conversation was that she then went on to counter her own remark by saying, "Actually, we have changed the way industry works. We've now got free range eggs. The live trade export has undergone changes as a result of protests. Well, you keep going and good on you. I hope something can come of this letter." And this is why books like To Kill A Mockingbird, Animal Farm, and The Hunger Games are so important to read. These books act like the mirror to which humanity judges itself. There's no point running around telling people they're doing something wrong. They just won't change. You have to get them to want to change. The Hunger Games highlights the line that is there to be crossed, it lights it up like the emergency strips on an aircraft, and the real test of human strength is whether we cross that line. For example, my dog loves to run. You should see her on the beach. She gets an energy spurt and just goes nuts. It's funny to watch. Anyone else on the beach gets a kick out of it, too. But there is a line that I will never cross. I would never think to myself, people enjoy watching her run. I should train her, let people watch, and charge them money. Then, in order to train my dog I'll tie her to my car because other dogs will want to compete - more competitors equals more bums on seats equals more money - and she needs to be the winner. You might think that's a far-fetched concept, but it's not. Dog racing, circus animals, horse racing, bear baiting, these are all forms of entertainment. They're cruel and unnecessary and humans do not benefit from it. There's nothing "sport" about it, there's certainly nothing educational. The strange thing is that many of us know right from wrong, we've just become so used to letting our justice system decide the difference between the two. So when a book like The Hunger Games comes along, we start to question if such a world is possible and debate about the morality of such a world. Could we send people - teens or adults - into a ring to fight to the death for our entertainment? No? Why not? It's been done before in the Roman coliseums. It's probably still going on in some seedy part of the globe. Another perfect example, and one that takes on a literal sense of holding that mirror, is Snow White. The evil queen asks the magic mirror each day who is the fairest of them all. And each day the mirror replies that she is. Until one day, it decides that it has told the evil queen enough lies and now is the time to tell her the truth that indeed there is someone fairer than her. I love how only the mirror can make her see the truth. Books often act like mirrors. To Kill a Mockingbird holds the mirror up for us to see that racism was rampart in the court system. The Hunger Games holds the mirror up for us to see that there are lines that can be crossed when it comes to entertainment. Writing can change the world. As the saying goes, the pen is mightier than the sword.